HomeDisabling 802.11b for Performance – and The Fitbit Performance Tax. Disabling 802.11b for Performance – and The Fitbit Performance Tax. We all look to optimize networks, none more than a geek like myself. I also recall some of the design discussions I recently had at Cisco Live with @wifijanitor – Steve about how he optimizes wireless networks and decided perhaps I could speed things up. I was having some issues with my media streamer strangely buffering sometimes, and an AppleTV that sometimes had to buffer, strange things going on. Disabling 802.11b rates is well known to increase performance significantly. How many 802.11b clients could I possibly have at home, I checked, not a single device. Right now. So I disabled some rates, and things sped up, even some of my media streaming appeared to be running better. If you have not disabled 802.11b rates on your networks, look into it, recently one of my customers went from 5-6 complaints daily about performance to “Wow the wireless is running great now!” simply by disabling “B” rates. There is a significant performance increase and it is worth looking into. 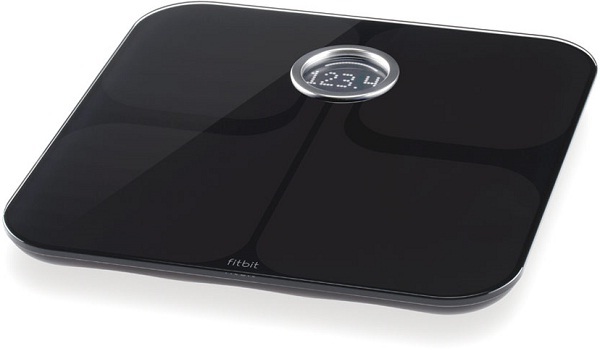 After disabling the rates I received a report a week later our FitBit ARIA Scale pictured below was no longer communicating with the internet. I spent awhile debugging the scale itself, thinking “This isn’t a wireless problem” — I was wrong. A quick show command of my scales association to the AP shows me this. 802.11b only? Really? Well it turns out the “scale” would jump on and off the network occasionally, and when it did the “B” tax was just enough to slow things down momentarily. File transfers would hiccup, videos streams would interrupt. Hey @fitbit – it’s 2015, and your device is being a nuisance to our networks. We are trying to eliminate these 802.11b clients and you are running around selling one. I’m just waiting for some executive who has one in their office to call IT and say “Why has my scale stopped connecting to the corporate WiFi” — as disabling “B” rates is pretty standard in the enterprise world. On the Fitbit web page they do “admit” to it – HERE – but no consumer knows the difference. It doesn’t come with a warning label that says “May slow down the rest of your home network without warning”. So if your home router is set to 802.11g only or anything other than 802.11b/g — your Fitbit ARIA Scale is not going to work. What is my solution? Well, for now it means turning the 802.11b rates back on, also creating a 5ghz specific SSID network for clients that are 5ghz capable. The problem is Fitbit is using a $20 GS1011 SoC (System on a chip) from Gainspan, and that module only supports 802.11b instead of the $25 GS2000 — these prices are QTY 1, Yes I get it, if you product 1 million of these, even an extra dollar is 1 million dollars in extra cost. Fitbit is creating a product that is a nuisance to networks and they should fix this as it is hurting thousands of home networks performance, and I am willing to bet 99% of consumers don’t even know. Just came across this post now, and I feel your pain. 🙂 I also have an iFit threadmill with the same issue. My solutions will be creating a separate 2.4GHz network for legacy devices using cheaper AP.